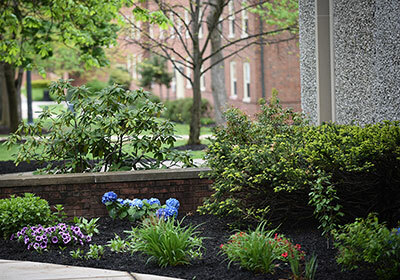 The Buildings and Grounds staff takes great pride in maintaining the beautifully landscaped grounds and architecturally significant buildings that comprise Lycoming's campus. We aim to contribute to the educational process by ensuring the health, safety, and comfort of our students, guests, faculty, and administrators. We provide maintenance and repair services to all Lycoming facilities, including residence halls and apartments. Contact us for help with issues with heating or air conditioning, plumbing, locks, carpentry, electrical connections. We also manage outside contracting, energy procurement and conservation, trash removal and recycling, and many capital improvements.